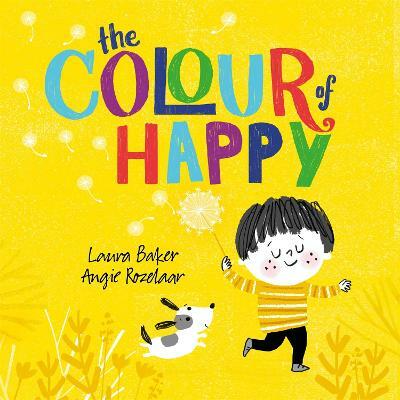 Explore colours and emotions in this beautiful and bright picture book from a talented debut author and illustrator team. Blue is for the calm I feel wandering in the spring.Yellow is for happy when I spot a special thing.Alittle boy spots a perfect present to show his mum he loves her, follow his colourful journey through as he takes it home for her.This book is the perfect introduction to both emotions and colours. Laura Baker (Author) Laura grew up in Canada with a passion for stories. She followed this passion to attain an Honours BA in English and then moved abroad to Wales for an MA in Creative Writing and an adventure - and she never left! She now lives in a lovely coastal town in South Wales with her husband, son and big basset hound and has been writing and editing award-winning books for adults and children for the last ten years. She loves finding special stories to tell in the everyday, relatable world of a child (or dog). Angie Rozelaar (Illustrator) Angie grew up in Kent and after a childhood spent mostly drawing and painting pictures, she went on to study at Chelsea Art School, and later graduated in Humanities from Exeter University. She continued to enjoy drawing in her spare time throughout a variety of jobs, from West End theatre technician to gallery assistant. Launching her career as a freelance illustrator in 2009, she secured early commissions for greetings cards and from educational publishers. Angie is now based in Normandy where she shares an old farmhouse with her family, four cats and a little brood of hens and works from her studio in a converted hayloft.